The 3D Prehistoric Oceanarium is the first project in the world bringing prehistoric sea creatures to life. It really feels here as if you are under the sea. 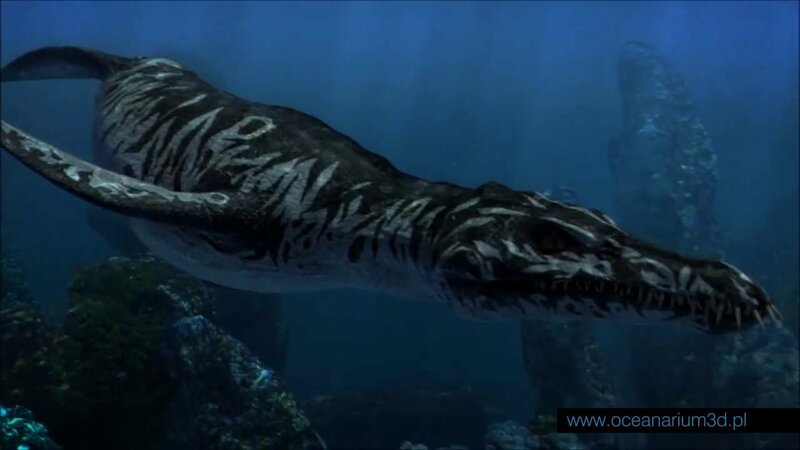 Using the latest 3D technology in cooperation with paleontologists, we have reconstructed the most fascinating prehistoric marine creatures which lived in the ocean depths from 1.5 million to 350 million years ago. You can see a megalodon, a plesiosaur, a shonisaurus and many other creatures. All prehistoric reptiles, fish and mammals swimming around the oceanarium are shown in their actual size. Our guests will walk through labyrinths with large 'aquariums' - 3D video screens. Our advanced sound system guarantees an incredible audio experience. We believe we are not exaggerating when we call it the most innovative water attraction for fans of marine prehistory ever built. It is a true multimedia attraction of the 21st-century. Entry to the Oceanarium at the 'PGE Narodowy' Stadium main reception area.